AMD's Radeon VII graphics card is scheduled for February 7th, and since its CES unveiling one of the more pressing questions has been the existence of partner variants with custom cooling and PCB. Typically AMD launch their enthusiast-grade GPUs as a reference design sold with partner branding, but later loosen restrictions and allow 3rd party designs into the marketplace. With rumours circulating that the manufacturing run of 7nm Radeon 7 Vega 20 GPUs was relatively short, it was speculated that partner variants would be either in short supply or not exist at all. More recently a number of new PowerColor graphics card SKUs were uncovered which appeared to indicate plans for 'Red Devil' and 'Red Dragon' variants of the Radeon VII, branding which in the past incorporated high-end cooling and other custom aspects to the card. So widespread was this assumption that PowerColor were moved this week to publicly state their current plans for Radeon VII to press and on Reddit's /r/AMD board. We all know the big launch day for the highly anticipated Vega VII is getting close and with it there's plenty of questions. One of the questions that has been asked quite a few times by the press and even you guys is "Are you guys doing a a custom Vega VII Red Devil?" We did clarify to the media, that at this moment we will only carry AMD reference design and at the moment we do not have custom model planned in the immediate future. Unfortunately this news spread and we decided to tell you guys at this point there will be only reference cards. AMD improved quite well on their cooling solution, from blower to triple fan cooler design which will please many of you, the card offers amazing performance on many levels, gaming and productivity, rarely seen on a consumer based card. Obviously there's quite of you guys out there wanting our Red Devil series on the Vega VII and we will always consider the option. Just not at this point. This should lay to rest short-term speculation. 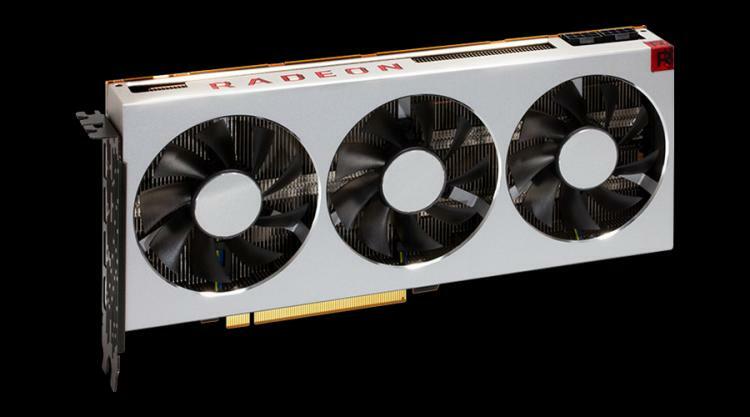 In the long term it remains to be seen just how deep and sustained the range of available AMD Radeon VII graphics cards will be, up-to and including variants which support the many proprietary RGB lighting systems currently on the market. AMD's Radeon VII, with the world's first consumer 7nm GPU, will launch on February 7th with an MSRP of $699. It will be going up against NVIDIA's GeForce RTX 2080 at a similar price and expected performance level.